Phil is a professional. 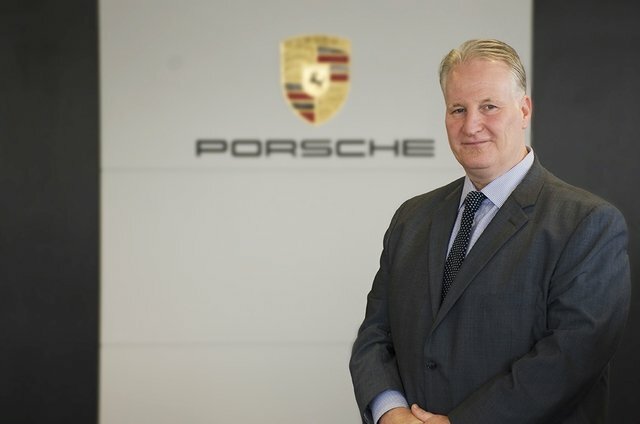 He has been in the automobile industry since 2001 and has worked with Volkswagen, Mazda, Chevrolet, Ford, Chrysler, Toyota, Scion, and now Porsche. He has held many automotive positions throughout his career, from engine building for NASCAR, to automotive electronics, as well as sales of new and pre-owned cars. Phil has also worked in and sales and finance management. 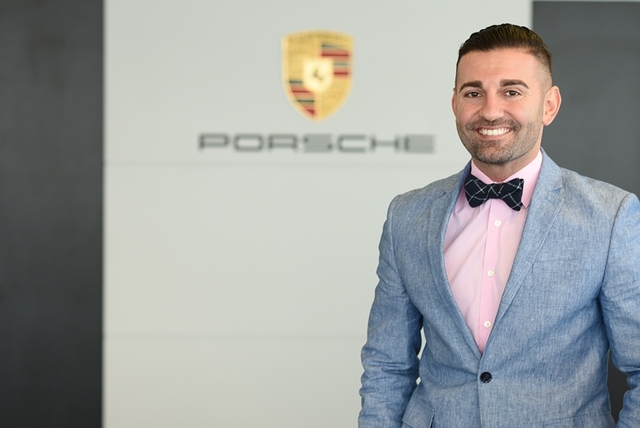 He joined the team here at Porsche Beachwood in October of 2011 and loves building a relationship with the brand and its amazing clientele. 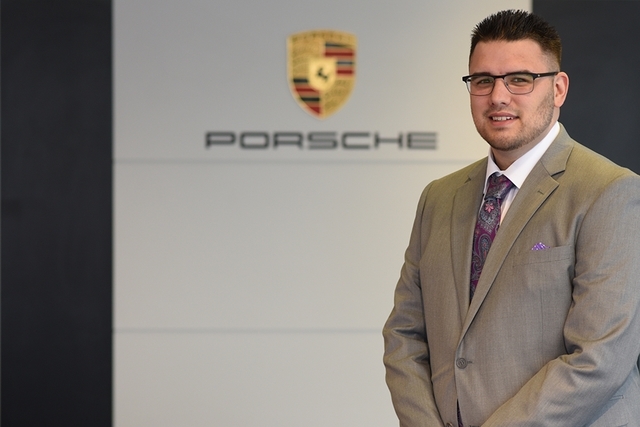 Andrew joined the team at Porsche Beachwood in April of 2012. Prior to Porsche he spent eight years in the fashion retail industry in various support, sales and management roles. In 2011 he earned a Bachelor’s degree in Marketing from Cleveland State University. 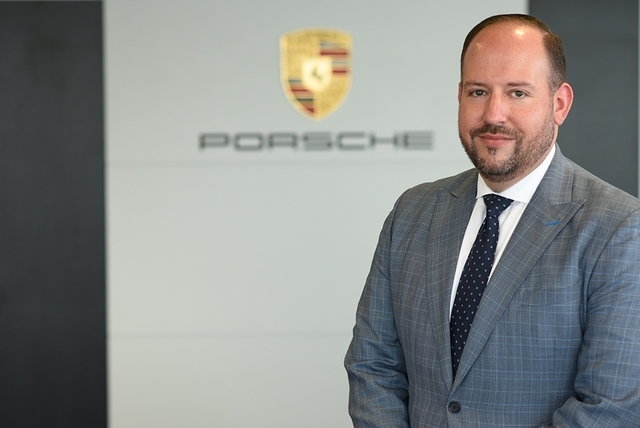 Andrew has been a familiar face here at Porsche Beachwood as he has served in a sales professional role as well as (most recently) the store's Financial Manager. Outside of Porsche, Andrew enjoys spending his time with his wife Staci, their three boys Jack, Kyle and Noah and their pup Ralph E.
I was raised in business. My family has owned businesses in Northeast Ohio since the Civil War. I have had the privilege of working with multiple types of businesses in many different positions. In my youth, I worked summers with my father digging ditches and surveying, and I spent the school year evenings working in their jewelry store. The desire to forge my own path started at the age of nine and by the age of thirteen, I had a job selling timeshares. My first job in the auto industry was at the age of eighteen and I haven’t turned back. It gives me the ability to speak with people of many different walks of life, as I always have, and to work with German sports cars, which has been an obsession of mine since the age of four. I am home! Nicholas has worked at multiple Penske Automotive Group dealerships including Audi, Honda, and Toyota. Born and raised in Northeast Ohio, he is a graduate of Northwood University in Midland, Michigan. Penske Automotive Group recruits from Northwood University's Automotive Marketing & Management degree program, which is how he had the privilege of starting with the corporation. His desire to work in the automotive industry started at an early age when he learned how to read from his brother's high school fundraiser of Auto Week Magazine. 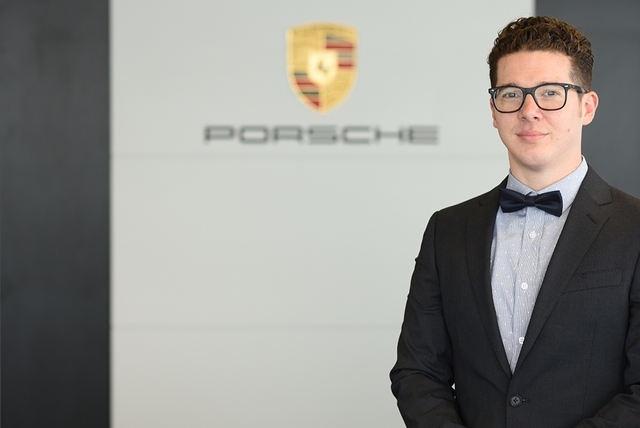 He looks forward to his career here at Porsche Beachwood. In his spare time he enjoys running, attending his wife's band performances and spending time with his Bengal cat Onya. 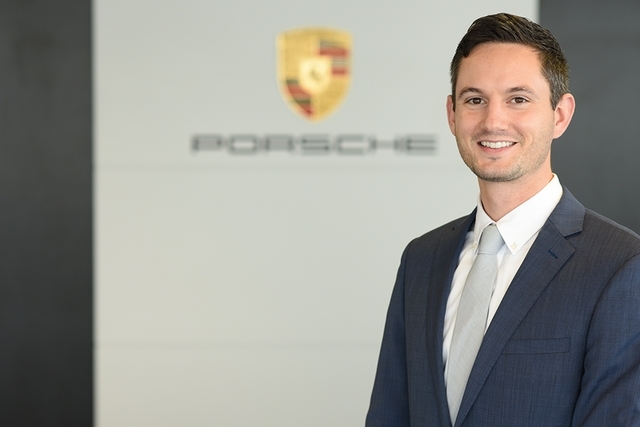 An inaugural member of the Porsche Beachwood staff, Brad came here with 6 years of Porsche experience at Stoddard Porsche. He's been a Porsche owner and club member since 2001. Brad has been a car nut his whole life starting with a large collection of "Hot Wheels" when he was a kid to doing occasional track events with his 944 Turbo now. He met his wife at their Alma Mater, Ohio State more than 25 years ago. They live in North Ridgeville with their 2 teenage daughters. When Brad's not at work, or driving, he's probably doing "home improvements" or supporting his kid's musical education. 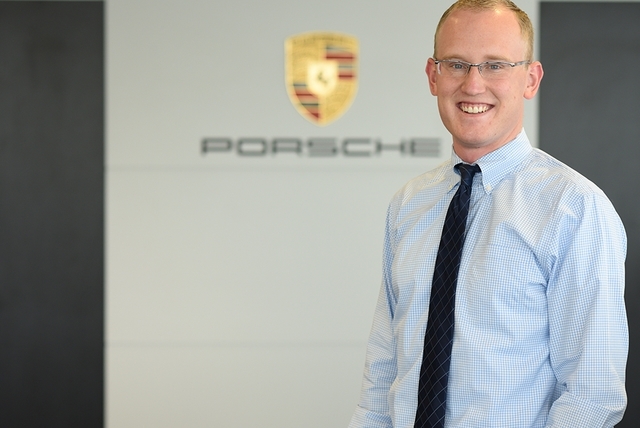 Kyle joined the Porsche Beachwood Sales team as a recent graduate of Lake Erie College. His passion for cars began at a young age and his plan was to eventually translate that passion into a career. He grew up in Cleveland and currently resides in Gates Mills. Outside of work, Kyle spends most of his time with his family, playing sports and cheering for the Cleveland sports teams. Brennan spent most of his childhood growing up in Chagrin Falls. He is a graduate of John Carroll University with a degree in Pre-Physical Therapy. Post college, Brennan spent several years in the orthopedic industry working with Zimmer. 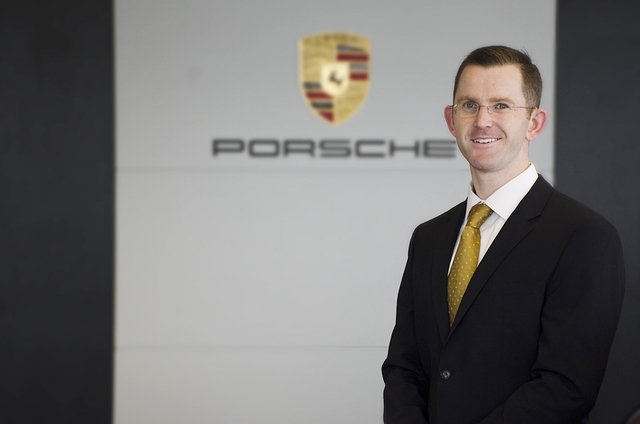 Although the orthopedic industry was fun and rewarding, Brennan decided to follow his passion for Porsche early in 2013. He now sells “more fun metal” to the same highly achieving individuals. 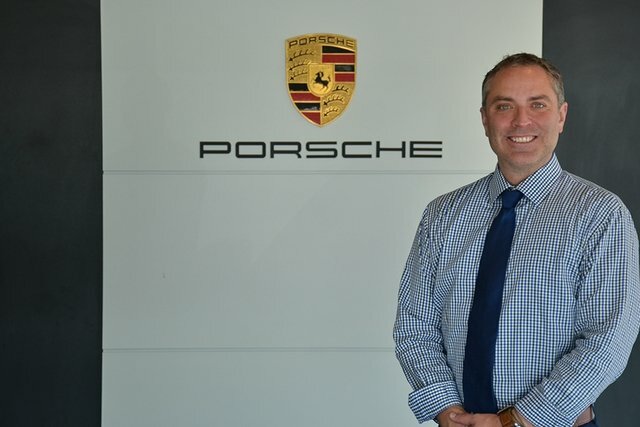 If you are looking for a true Porsche experience and relationship, be sure to contact Brennan! Steven grew up in San Diego, CA. He came to Ohio to pursue his Mathematics Degree at Kent State University. Steven has been modifying cars since 2002 to drag race. His current project will be in the 850-950 hp range. In 2016, thanks to a good friend, he was introduced to the road course. He has not looked back since and is excited to continue to improve his driving skill. When he is not racing, he spends his time snowboarding, running or working on his power yoga. Kevin has a passion for the business. His love for automobiles stems back to childhood. In 2005 he began his career in automotive sales and then briefly ventured out of the automotive scene. That time away made him realize that being in sales and around cars is his passion. 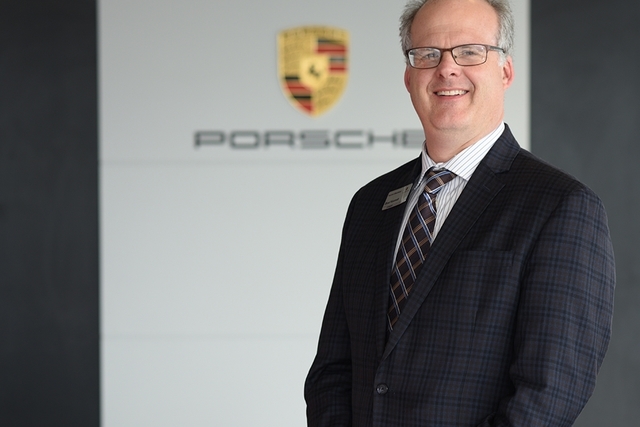 In 2016, Kevin joined Porsche Beachwood. He is excited to be back in the field and selling such an awesome brand as Porsche! Kevin grew up in the Cleveland area, but spent some time living in Chicago, IL and Long Beach, CA. He enjoys playing the bass guitar, and has been playing since he was 12 years old. He is even in a couple local bands. His talent earned him the opportunity to tour the United Kingdom for a month in 2008. When Kevin isn't selling cars, you can catch him playing music on and off the stage and supporting Cleveland sports teams. Anthony joined the Penske Automotive Group back in 2012 right out of high school and has always had a passion for being in the automotive business. 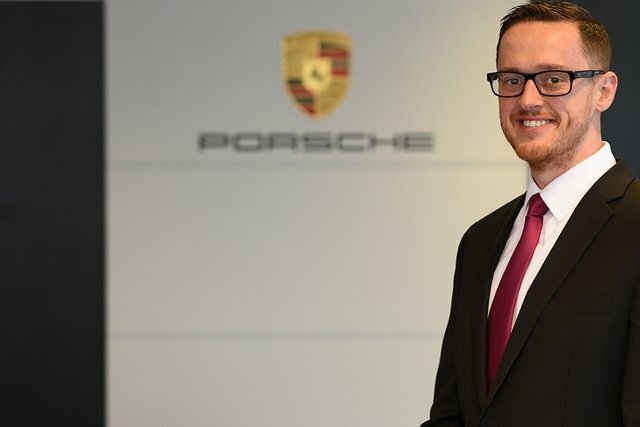 He started his career off at Audi of Willoughby as a porter, then went to Toyota of Bedford to start his sales career and was there for 4 years until coming to Porsche Beachwood. When he is not working he can be found enjoying the water on his jet ski. He is also a HUGE Cleveland sports fan! 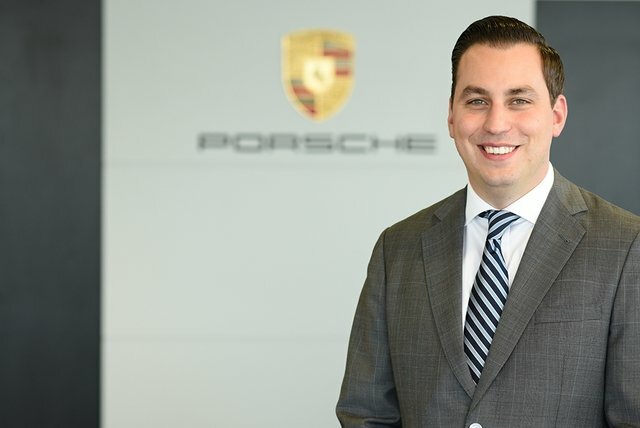 Greg comes to Porsche Beachwood from the finance industry where he previously worked as an Equities Analyst for Bloomberg L.P. near Princeton, NJ. A Cleveland native, Greg attended the University of Dayton where he received a degree in Finance. Although his experience in New Jersey was certainly positive, he recently decided to relocate back to Ohio and pursue a career more closely aligned with a lifelong passion of his, cars. Greg has always been drawn to fine automobiles, particularly high-performance European marques such as Porsche. He brings a great deal of passion and excitement with him in this new career venture. In his free time, Greg enjoys photography, playing tennis, and spending time with his family. Sam’s passion for photography came soon after taking a simple photo and realizing in that moment that photography was going to be his future. Never did he imagine growing up that this would be his passion; the photo had spoken for itself and Sam’s future was determined. No matter the subject, whether it’s exotic cars, people, weddings or landscapes; it is something he truly enjoys doing. Sam takes any opportunity and turns it into something creative and is always up for trying new ideas. 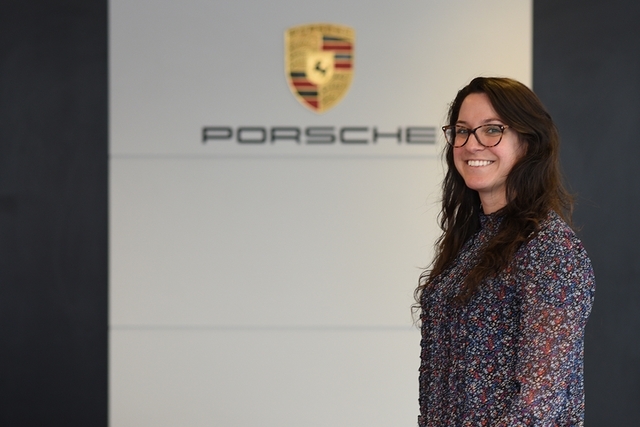 Adrianna joined Porsche Beachwood in 2016 as the evening receptionist. She enjoys the fast-paced environment and the opportunity to be in a professional and friendly atmosphere. She has no doubt that her experiences at Porsche Beachwood will pave the way to a bright future. Adrianna is currently enrolled at Kent State University as a full time student in the Exploratory major. When she isn’t busy with school or work she enjoys working out and spending time with family and friends. Rachael graduated from Kent State University in 2014 with a Bachelor’s Degree in Business Management. Since graduation, she has used this degree to further gain experience within the business world, holding primarily administrative positions in Cleveland as well as Pittsburgh. She looks forward to her future with Porsche Beachwood and the many growth opportunities it will present.